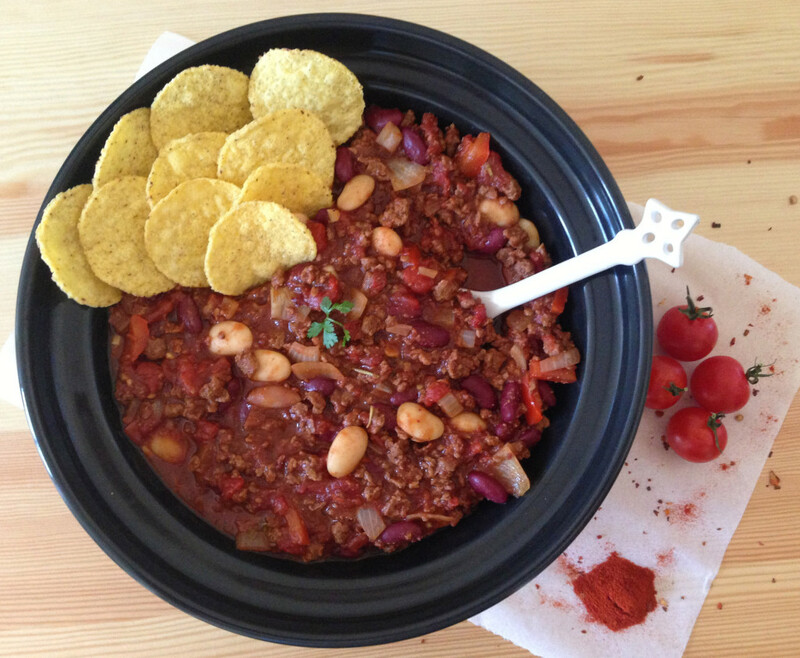 I love chilli, but when I stopped eating meat I really struggled with making a flavour-filled, succulent chilli. However with this recipe I think I finally cracked it. 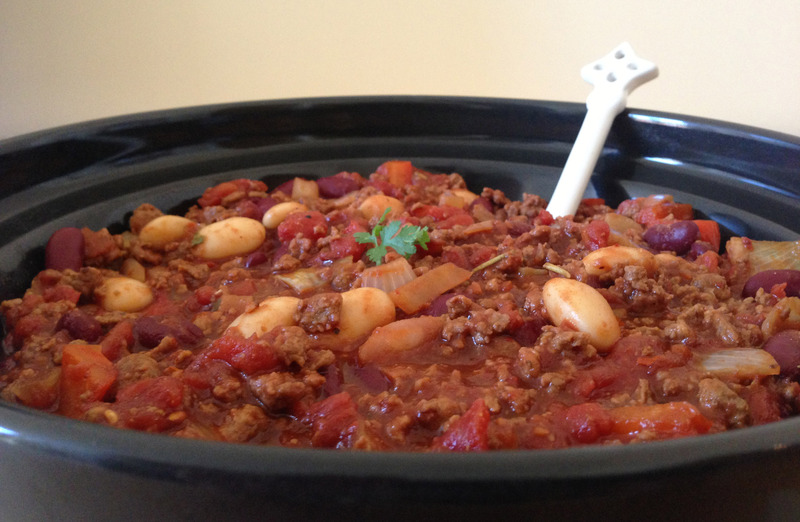 Using a high quality vegetable stock pot really helps the Quorn mince take on flavour and the red wine adds a richness to the overall taste of the chilli. This recipe is fairly mild in terms of heat, however if you want to take it up a notch, just add an extra teaspoon of chilli powder or 2. The recipe serves 4 people, however I often make it just for Matt and me, then freeze the rest for another evening. Start of by mixing together all of the spices, seasoning, herbs, flour and sugar in a small container. (This is what will pack all of the punch in your chilli). Make sure it is well mixed and put it to one side. Now grab a small frying pan, put on a medium heat and pour in your Quorn mince. Add in the vegetable stock pot and mix with the Quorn. This will ensure that the Quorn is flavour-filled and moist. Brown the Quorn for 10-11 minutes, then turn off the heat. Whilst your mince is cooking, get a large frying pan, put on a medium-high heat and pour in the chopped tomatoes, kidney beans and butter beans and stir regularly. When the mince is done, add to the large frying pan and continue to stir. In the same pan you used for the mince, pour in 2 glugs of vegetable oil, put on a medium heat and sauté the pepper, garlic and onion for 3-4 minutes or until the onions become translucent. Then add the vegetables to the chilli pan, followed by your spice mix. Finally, pour in the red wine and bring the chilli to the boil.